I DO NOT SELL standalone boxes !!!! Please DO NOT buy this if you didn't purchase an item from me or have an existing order with me. I can't ship out empty boxes without an existing order. 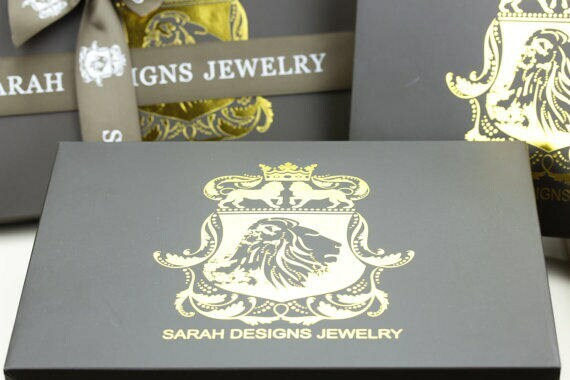 Add this option to your existing jewelry purchased from SARAH DESIGNS JEWELRY ONLY!! FOR LIMITED TIME ONLY: If you require extra packaging, then please add this upgrade to enhance your purchases. Pull-Out Drawer boxes layered with with anti-tarnish coating foam padding that serves to protect your jewelry (Gold, Silver, Platinum) while not in use; at the same time making excellent gift or storage boxes. I want my all customers to feel great about buying my brand; therefore I want my online patrons to enjoy the same benefits and pleasures as all my retail clienteles enjoy. ◙ I will NOT sell standalone boxes, it must be with purchase of a product(s). ◙ Boxes are heavy and shipping rates significantly goes up as well, so I won't be able to add this on to certain countries. Perfect chain a good length and boxes very practical thank you. Beautiful and classy boxes! They are a very luxurious way to store your jewelry treasures. Thank you! 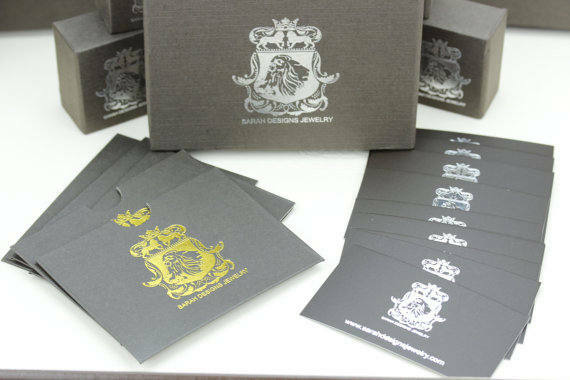 These boxes are so luxurious! 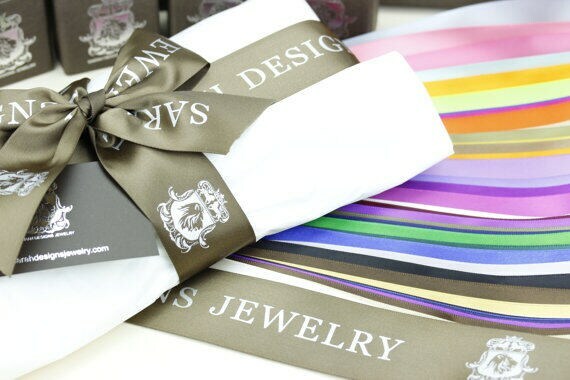 They are a must have for your Sarah Designs Jewelry! They are very well made. 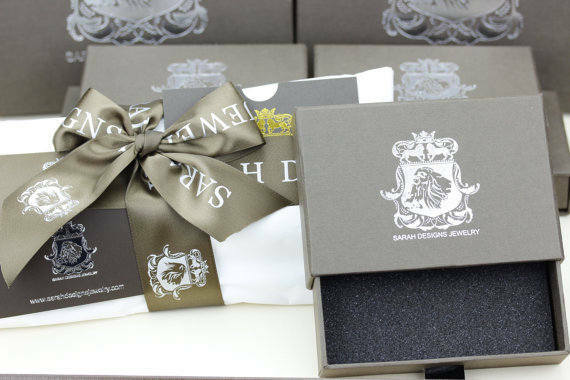 Such beautiful and classy boxes! Thank you for a wonderful shopping experience! It’s always a pleasure to buy from this shop! 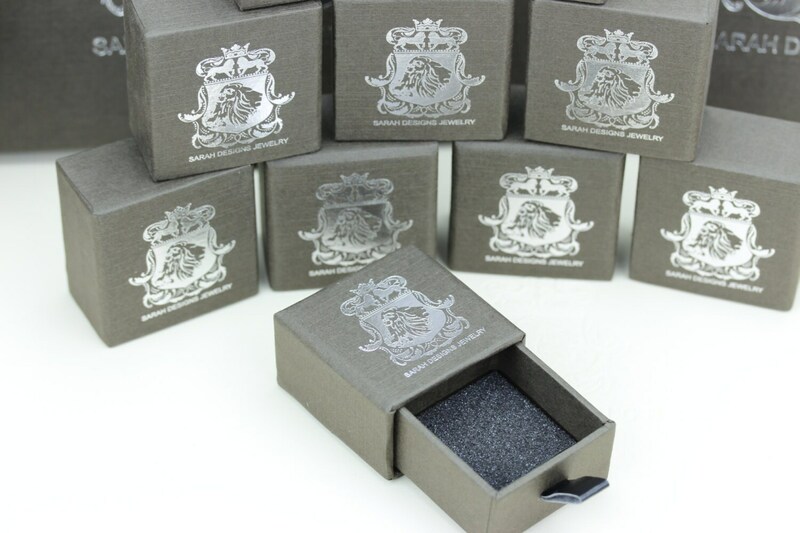 Very nice keepsake anti tarnish box, delivered as promised.